Since 1992, Jungle Busters has been offering tree care and arboriculture services to the residents of Brisbane, Gold Coast, Sunshine Coast, Logan City, Moreton Bay, Pine Rivers and Toowoomba. 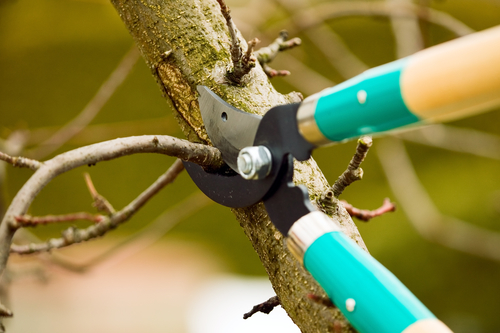 Our expert team of arborists have the necessary knowledge, training and specialised tools which allow them to provide the right care for the trees on your property. We can ensure that your trees remain attractive, add value to your property, and offer other appealing benefits. When trees are poorly maintained, they can become a liability. Let our expert team do what they do best – caring for your trees – in a safe and efficient manner. Whether it is clearing away branches and the shortening of trunks in order to reshape a tree or to remove damaged branches or felling unwanted or diseased and damaged trees, Jungle busters has the expertise to safely and expertly handle the job. We are experienced in general tree lopping, climbing, roadside tree works, working near power lines and those jobs that require specialist equipment. We have access to the latest equipment and no job is too big or too small. Jungle Busters is experienced in large land clearing jobs and are happy to provide a free quote for land clearing using excavators and large tub grinders to remove or reuse the waste. Wildlife spotters and catchers are used in these jobs as required. Tree pruning offers several benefits including: bolstering the health of a tree which has succumbed to a disease; helping a young tree develop desirable branch architecture; landscape maintenance; eliminating or minimising the risk of falling branches and interference to pedestrian and car traffic and enhancing the appearance of the landscape. This service entails the complete removal of the remnants of a tree that has been cut. Tree stumps may harbour pests and can become a tripping hazard. With this service, the stump is effectively removed, allowing you to fully reclaim your landscape. Whether you want to have a few branches cut off from a tree or want some firewood cut, you can bank on our experience in properly and safely handling chainsaws to get the job done right. Our expert arborists can determine whether the trees on your property are at risk for limb and stem failure, uprooting and structural defects like splits and decay, or not. From there, we can recommend the right course of action to take.